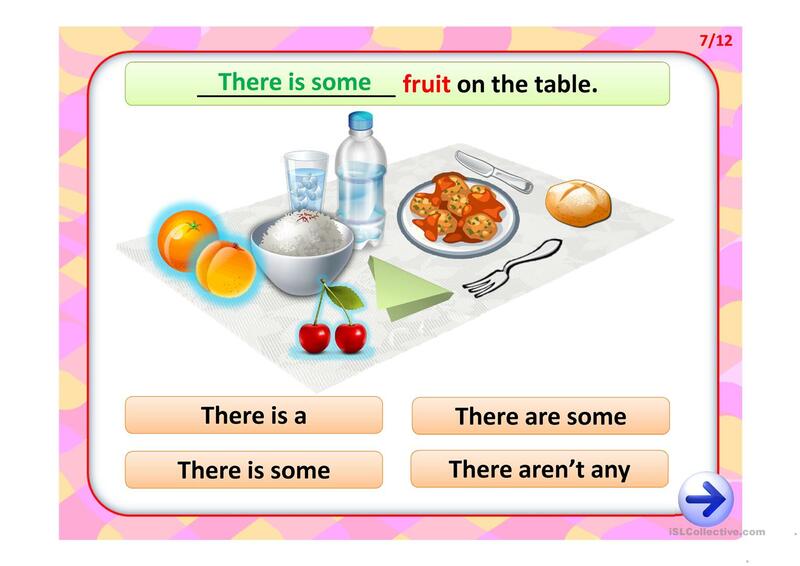 This interactive powerpoint presentation is a multiple choice exercise on There is - There are.The students have to look at the picture and click on the correct option to complete the sentences. 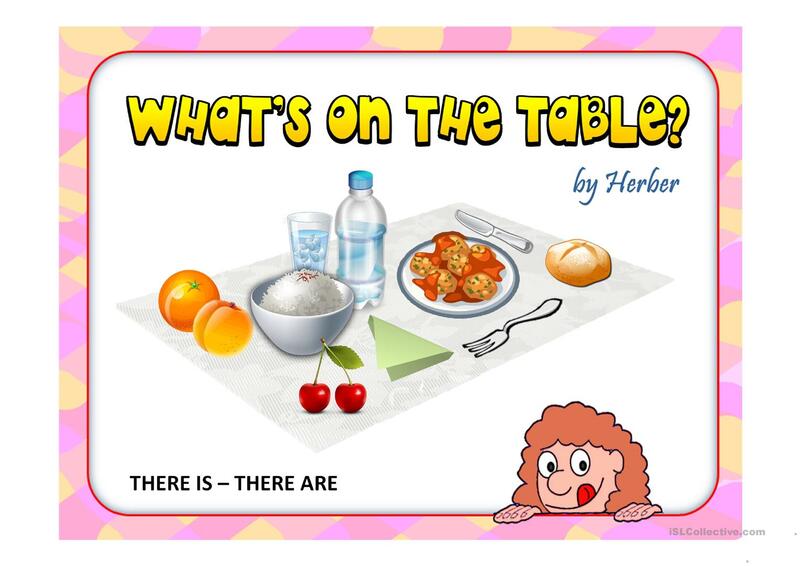 This downloadable teaching material is intended for high school students, elementary school students and adults at Pre-intermediate (A2), Intermediate (B1) and Upper-intermediate (B2) level. It is aimed at teaching There is / there are / there was / there were / there will be, etc. in English, and is useful for developing your class' Speaking and Reading skills. It is focused on the topic and words of Food. You will find the answers at the end of the worksheet.